What would you do to earn a $10 million profit? Would you be willing to compromise your principles? 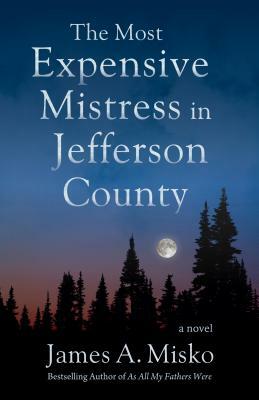 Hawkins Neilson is about to find out in The Most Expensive Mistress in Jefferson County. The United States Forest Service, Fish and Wildlife Service, Bureau of Land Management, and other government agencies have signed a contract--along with 130 ranchers and farmers and the Nez Pearce Indian Nation--to exchange over $400 million of property in the largest land deal in Idaho history. Hawk has drained his bank account and borrowed more money to close this transaction. Can he make it through the last week before closing? On the final day, the Indians demand an additional million dollars for one of their properties. Hawk Explodes. This could change his life forever. Leonard Bird, author of “River Of Lost Souls” and “Folding Paper Cranes”, an Atomic Memoir. “Jim Misko’s novels celebrate the spirit of adventure and the strength of perseverance. In For What He Could Become and The Most Expensive Mistress in Jefferson County, Misko reveals himself as a fine storyteller, one whose writing compels me to read “just one more page,” and “just one more chapter,” which of course turns into many pages and many chapters. In these narratives, as in the best stories always, I’m pulled forward by a simple, yet profound impulse that Misko’s work effectively inspires: I want to know what happens. Irena Praitis, Author of “Branches” and “One Woman’s Life.” Professor of Literature and Creative Writing at University of California State, Fullerton.